Barbara Anna was the seventh of twelve children born to Johann Christian and Anna Barbara (Seckel) Pflueger, born 28 December 1822 in Schrozberg, Oberamt Gerebronn, Wuerttemberg. 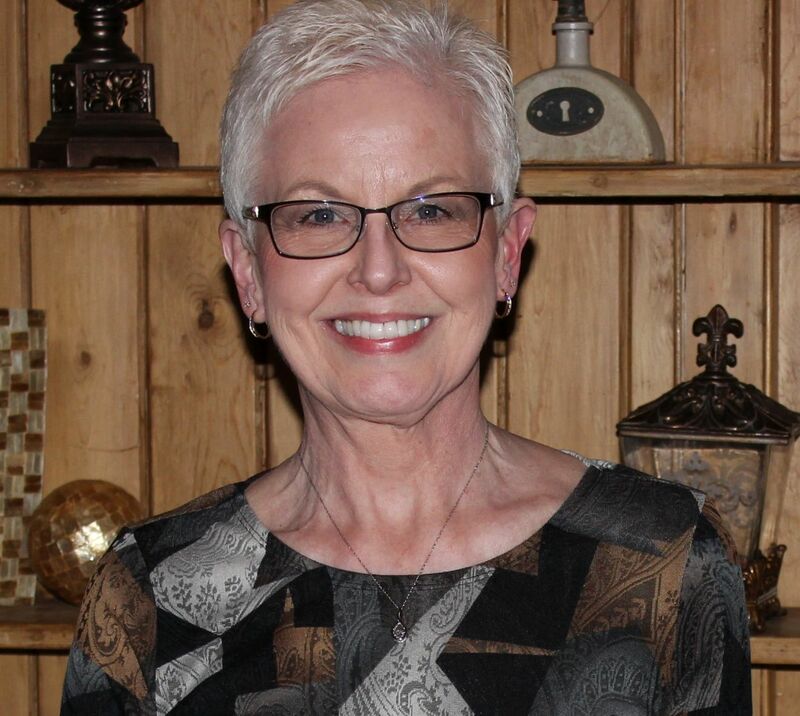 She immigrated with her family in about 1832 and they first settled Holmes County, Ohio. Barbara married Johann Ludwig Schumm in Holmes County, Ohio, on 1 November 1840 by Daniel Cranz. (Vol. 2:109) I descend from their son Louis J. and his wife Sarah (Breuninger) and from their daughter Elizabeth, who married Friedrich Schinnerer. Barbara is my second and third great-grandmother. In the death of Mrs. Anna Barbara Buechner, which occurred at Schumm Friday, a pioneer resident has been called to her last home. Mrs. Buechner having been a resident of this township for sixty-eight years. She had been failing in health for some time, due to the infirmities of old age. Anna Barbara Buechner, nee Flager [sic], was born Dec. 28, 1822 in Schroedsberg (sic), Oberamt Gerebronn, Wuerttemberg, in Germany, coming to this country in 1831 when her parents located in Holmes County, Ohio, where she resided until the year of 1840, when she was united in marriage to Martin [sic] Ludwig Schumm, and moved to what is now the J.C. Schumm property at Schumm. To this union nine children were born, they being Elizabeth, now Mrs. Frederick Schinnerer; Mary, who was united in marriage to Martin Schinnerer, but now deceased; Henry; Jacob, now deceased; Rosina, now the second wife of Martin Schinnerer, of Los Angeles, Calif.; J.C. and Louis J.; Hannah, now Mrs. C.F. Germann and George, deceased. 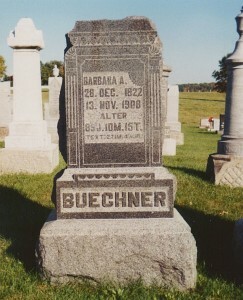 In 1855 Mr. Schumm passed to the great beyond and Mrs. Schumm remained a widow until the year of 1861, when she was united in marriage to John Adam Buechner, to which union two children were born, they being Marguerite, now the wife of F.G. Kreiselmeyer of Ft. Wayne, and W.A. Buechner. Mr. Buechner answered the last call March 11, 1885, since which time she has remained a widow. All the children living were present at the funeral services with the exception of Mrs. Martin Schinnerer of Los Angeles, Calif.